The Adjustment Bureau: Business Movie Review - Brilliant Breakthroughs, Inc. 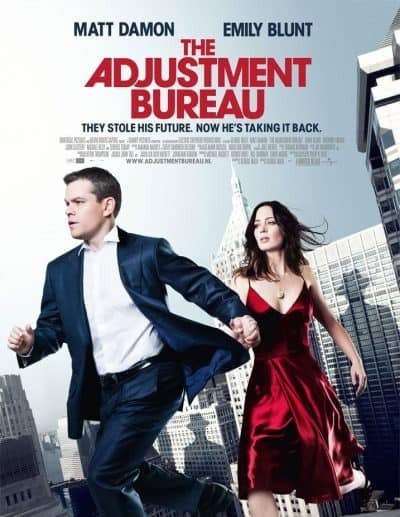 The Adjustment Bureau (2011) PG-13 is one of my favorite movies and gets viewed once a year. This is an intriguing movie with Matt Damon as the main character, David Norris. David is running for a Senate seat. He has a set of circumstances occur, which has him meeting some unfamiliar characters. Then, the plot thickens as David begins to be more aware of how plans change and at times he may just be a pawn in a bigger game – or not. This moving is thought provoking. I wish I could could make every Small Business Owners (SBOs)watch it to observe the power of intentions, strategies, thought-limiting beliefs, the impact of right timing, and being self-aware. I know, that’s a pretty tall order! All relevant and big game changers for Small Business Owners. No spoilers here, just some very interesting points to take to heart about choices and their impact! Enjoy watching the movie and learn how to improve YOUR Business Success. Have you ever had your plans go up in smoke? Sure, we all have! This movie has one of the best practical teachings of how life (and business) is always shifting with each move we make. If you only observed this part of the storyline, you’d learn why you should pay even more attention to planning. When you use planning as a strategy to fulfill your vision instead of survival tactics, you become more observant to the choices you make and the impact of each of your activities. As the saying goes, “Timing is everything”. Do you pay attention to what’s happening and when it is or when it should be happening? If not, flexing this muscle is essential for YOUR Small Business Success. Timing isn’t always about when you want to do something. More often it’s about when is it most favorable for others to experience or digest whatever it is you’re serving up. This included everything from when social media posts are posted, when you call someone, to what time of the year you introduce a particular offering to your marketplace. Do you believe in fate and/or creating your own destiny? This movie has some interesting insights about the topic. Do you roll over when fate serves up something different than what you’ve been working toward? Do you notice how fate may be specifically positioning you for something you wouldn’t naturally do or go after? Often I see Small Business Owners give up before they should. Just because you’re destined to do or be something, doesn’t mean it has to be an easy journey. I share this because there’s a great many things that are worth a struggle and many SBOs just give-up thinking this isn’t where their calling is if it’s difficult. I believe this is the case because we’re told that if we’re living our passion is shouldn’t feel like work. While what this really mean: your passion and belief will carry you through the tough times, not that there won’t be tough times! 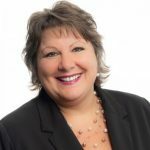 If you need help with any of these strategies or other business performance frustrations, just contact Maggie for a 30 minute conversation – either with a call or this link to discuss the gap between where you’re at and where you’d like YOUR Business to be Performing. Don’t worry, it’s not a sales conversation – don’t bring a credit card because it won’t be accepted! Feel free to share in the comment section which one of the Business Strategies from The Adjustment Bureau (2011) movie would serve YOUR Business best right now? SIMPLIFY YOUR SMALL BUSINESS SUCCESS! Are you ready to Simplify YOUR Small Business’s Success? I am still amazed at how much you learn about business from movies, Maggie! Now I really want to watch this movie! Many blessings!